How many times has it happened that you wish to change your style? How many times have you wished that classy and trendy could walk hand in hand? If your answer is yes to any of these questions, then you belong to the class of those who believe in designing to impress and redefine grace with their attitude. This temperament of yours will not only make you think but, rethink and again just for getting that perfect look for everything you own right from your clothes to home decorate kitchen appliances. An impressive look along with the sturdiness in its nature is going to be once for the lifetime and hence you need to opt for the countertop which spells class in each and every texture i.e silestone countertops. Silestone countertops are made up of highly resistant natural quartz and binding resins. Quartz, which is one of the toughest materials available in the market for the construction of silestone countertops, is sturdy, scotch proof and scratch proof, thus a little kitchen mishap will not harm the decor of your personal space. Silestone countertops usually have a non-porous texture, thus keeping it spotless clean and not letting the stains set in. Hence, one will never have any issues about the cleanliness of these countertops. The most essential trait of such silestone countertops will also be that the solid texture will not let the pathogens develop on its surface. These non-porous stains resistant silestone countertops are not only easy to keep up, but also they do not need any sealant material for their fixture. These look very similar to natural stones since the material has at least 90% of quartz. The biggest advantage in owning silestone countertops is that it can be customized as per the customer’s needs since the stones can be blended with various colors of the customer’s choice. And though these countertops are not real but their texture looks very genuine and real in existence. Also, silestone countertops are very worthy for those people who wish for a granite look but using a more exquisite and glamour way with Quartz. In getting one of the silestone countertops, one can be assured that it will not only go on for years, but also will give a trendy look to your kitchen or bathroom. These countertops have an edge over other countertops since one can personalize these with wide range of colors, once can easily afford these counters. However, the cost may vary as per the customization. 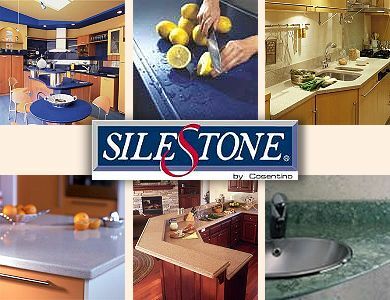 Thus, if you are on the hunt for the correct material to serve as your kitchen or bathroom countertop, your search should end with the silestone countertops for durability, affordability, safety and class not always go together and rather are a hard combination to find.